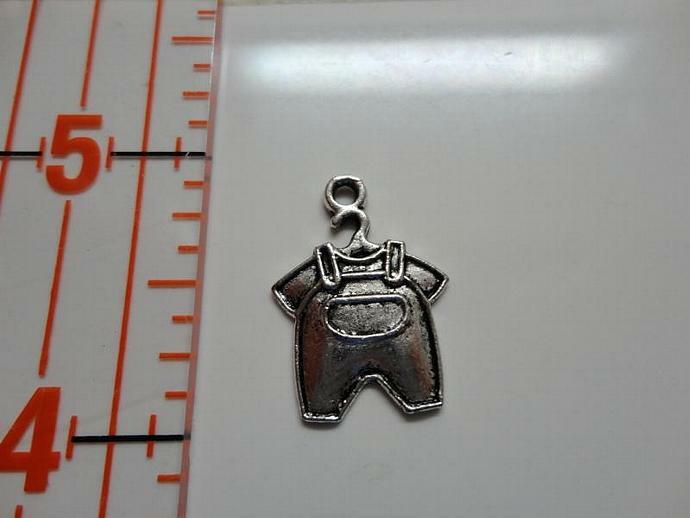 One piece of silver baby overalls jean charm. Welcome! We hope you enjoy our crafty supplies at bargain prices & inspire you to create something great! All of our items are on hand & ready to ship. Please enjoy a safe & easy shopping experience!